Old documents containing sensitive personal or financial information are a treasure trove to potential identity thieves. Simply throwing them away in your weekly trash or recycling pickup is identity theft just waiting to happen. 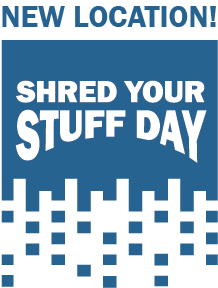 Bring your sensitive documents to LMCU’s annual Shred Your Stuff Day to guarantee that they’ll never be used for nefarious purposes. Limit 6 boxes per person, please. LMCU Glenwood Hills Corporate Office- New Location!